Odor Control Systems – Catalytic Products International, Inc.
Popular in industrial, commercial and residential applications, these systems neutralize malodors, making them unavailable for olfactory senses to pick up, thus improving air quality. Though not all odorous emissions are toxic or even physically harmful, odors that are purely unpleasant can have a negative impact on the quality of life and productivity of an area or process. In unpleasant odor situations, it is essential that air pollution control equipment come equipped with odor control systems. These systems often mask the disagreeable smell with a stronger more pleasant scent, though this is a temporary solution. Alternatively, odor controls may neutralize them by absorbing them with specially configured powders, sprays, or filters. The latter and more permanent solution is often preferable, particularly in industrial atmospheres where smelly gasses can accumulate in large quantities. They are often used in the waste industry, in landfills, solid and liquid waste management, and sewers where untreated scents can attract rodents and insects. 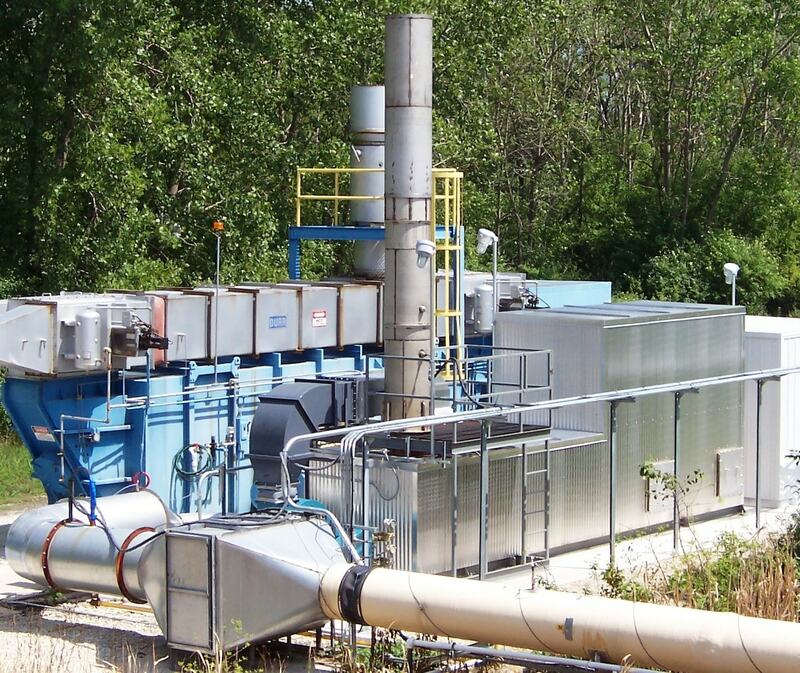 In facilities that produce large amounts of methane such as pulp and paper plants or livestock processing facilities, mist collectors and oxidizers are used as odor control systems. Air handling equipment, chemical manufacturing, and pesticide and herbicide manufacturing also use odor control systems in their facilities. Odor control systems should be installed in all environments in which unpleasant scents lead to direct or indirect impingement on quality of life and product. There are many different methods of controlling odors in industrial settings. As aforementioned, some “air fresheners” simply mask odors while serious odor control systems neutralize it. This involves the use of sprays, filters, or granules which use chemical compounds to attack and dissipate the volatile organic compounds (VOCs) that produce odors. Granules are made of porous materials such as activated carbon to dissolve odors. Sprays bind to and deactivate enzymes and odor causing anaerobic bacteria. Filters are among the most variable and may work in conjunction with sprays and granules. Carbon filters, caustic scrubbers, biofilters, mist collectors and oxidizers are variations of this technique which is often times effective for particulate removal as well. Carbon filters use activated carbon for air purification in waste management applications like keeping sewage systems cleaner. Caustic scrubbers and bioscrubbers are used in waste-water treatment plants to remove odorous gasses by biotrickling filter technology. In workplaces that have unpleasant odors caused by welding, plastic processing, high-speed machining with coolants, tempering, and quenching, mist collectors remove odors from gas streams. 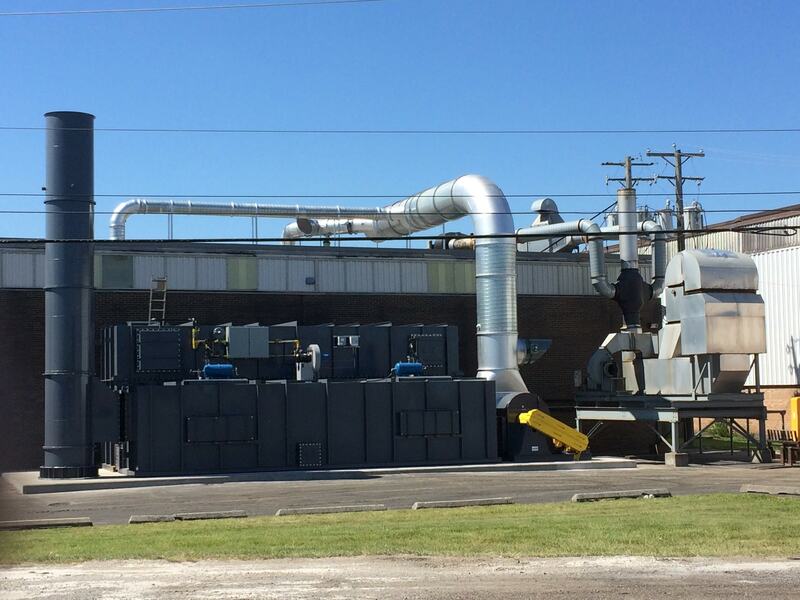 In order to manage smoke and exhaust odors, thermal oxidizers use chemicals that incinerate pollution in the air. Biofilters are small and fit inside pipes or tubes and remove sewer gas odors before the contents come in contact with humans. Atomization, vaporization, encapsulation or infusion are all popular delivery systems for odor control which may be marketed for specific odors or designed to break down a broad spectrum of odors. Odor Control Systems Odor control systems are designed to reduce or completely eliminate all traces of unwanted scents within an air supply.